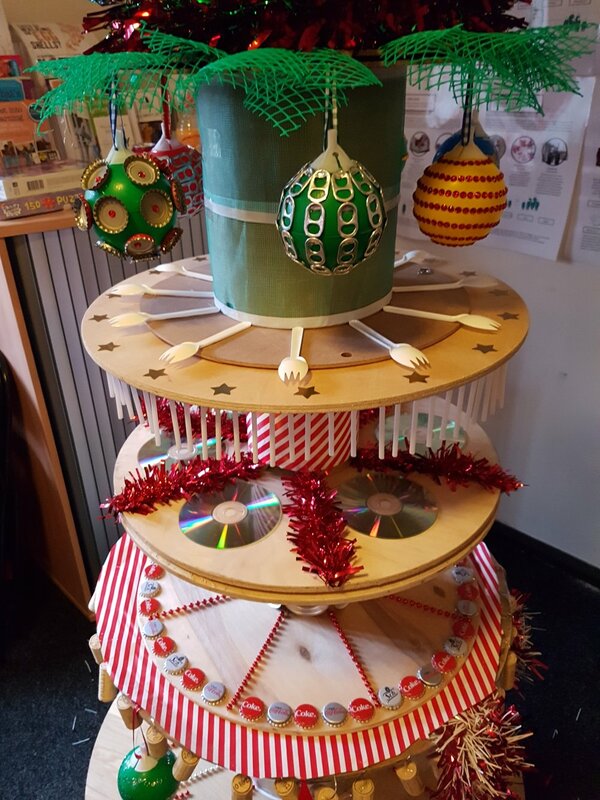 Cable drums and lots of waste materials were upcycled to create this unique Christmas Tree. Residents of Chrysanthemum Court took part in the upcycling workshop. Members of the community group worked together to create each layer which looked great when joined together.